A debt in collection can come back to bite you if the collection agency sues you to get its money. A civil judgment could result in garnishment of a state tax refund, depending on your state’s laws. Knowing your state laws and the parameters of the judgment is your best defense in determining how it will affect your income tax refund. Depending on the agency collecting the debt, your federal or state income tax refund can be taken to settle these debts. This may happen through the Treasury Offset Program (TOP), a writ of garnishment or a bank levy. 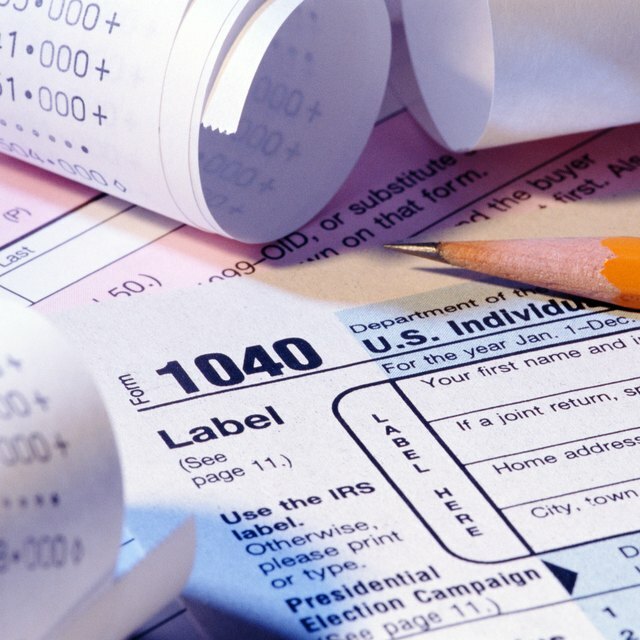 The Department of Treasury's Bureau of the Fiscal Service (BFS) – which issues IRS tax refunds – will allow for a garnishment of your income tax refund for specific types of debt. Known as the Treasury Offset Program (TOP), refunds due may be used to offset debt such as past-due spousal or child support, obligations from state income taxes, non-tax debt owed to a federal agency and certain unemployment compensation debt owed to a state for compensation paid due to fraud. Can a State Garnish a Person's Federal Income Tax Refund for Back Taxes? If you're unsure whether a debt has been submitted for a tax refund offset under the TOP, contact the BFS directly. You will also be notified of the offset by mail with a notice including the name and contact information of the agency that requested the offset, the amount of your original refund and the amount of your offset. You can expect to receive any monies remaining after your obligation to the agency is paid, such as the tax intercept for child support. If you feel there has been an error, you can contact the agency listed on your notice for further assistance. While there is a hierarchy of priority in terms of who can garnish your federal tax return first – the IRS taking top priority and the state taking lowest – individual state revenue services may allow state income tax refund garnishment for a debt in collection. Typically, delinquent child support payments will be offset by your state income tax refund. Compensation paid by state unemployment benefits under fraudulent circumstances or any over-payment of said benefits are also offset by state income tax refunds. After the tax taking agency sues you and receives a judgment from the court, the collection agency can petition the state revenue service for your income tax refund, if permissible and applicable. Contact your individual state revenue service to familiarize yourself with the various state laws regarding income tax refund interceptions. If the collection agency sues you in a civil court, it's asking the court to intervene and issue a writ of garnishment to satisfy the debt. A writ of garnishment gives the collection agency the right to a portion of your earnings and other sources of income, such as tax refunds, to satisfy your debt. The court sends the writ of garnishment to the applicable agencies involved and the agencies have to follow the order to extract the money ordered by the court. Generally used by a non federal agency for non-tax debts, a writ of garnishment can also be used by state child support agencies to collect past-due support payments as well as by creditors such as banks and credit cards or other financial institutions. Non-state or federal collection agencies will often seek a judgment that includes a levy on bank accounts. If you arrange to have your federal income tax refund electronically deposited into a bank account, and the collection agency has a levy on that account, you could lose your income tax refund. The judgment can be for a debt obligation not typically covered by the TOP offset. However, a judgment or levy against your personal bank accounts would give the collection agency access to all funds in the account. This would enable the agency to take your refund as soon as it posts to the account affected by the bank levy, even if it is not a tax taking agency. Free Credit Score: Can My Tax Return Be Seized by Creditors? Intuit TurboTax: Who Can Garnish an Income Tax Refund?